This Grand Tour Of Tibet is one of the perfect ways for a taste of the utmost beauty Tibet, a place of towering peaks, spiritual sanctuaries and warm, hospitable people. 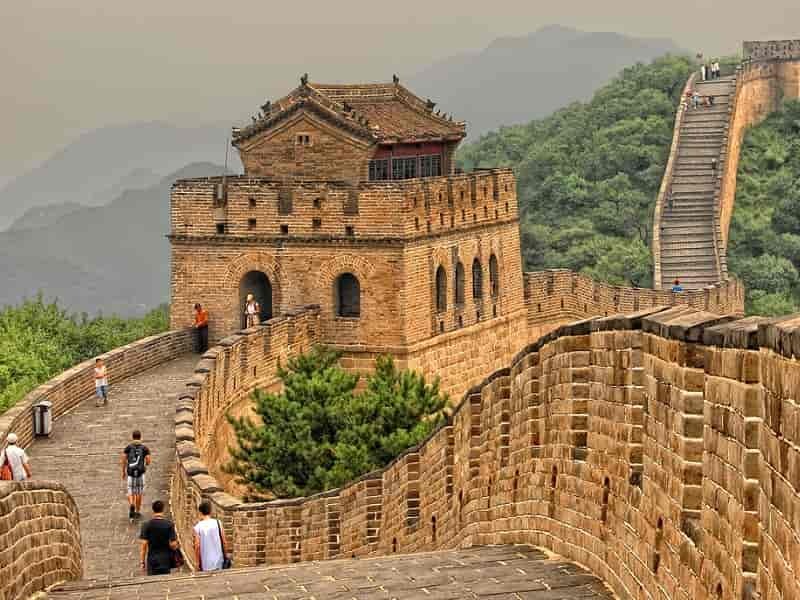 Starting from Beijing, you then explore the Great Wall, one of China's most remarkable achievements. Then, experience one of the world’s greatest train journeys – the railway to Lhasa, the roof of the world, crossing incredibly snow-capped mountainous and remote terrain. Highlights of this tour include beautiful monasteries, turquoise lakes, stunning landscapes and memorial journey to Mount Everest – the tallest mountain in the world. Welcome to BEIJING, the capital of the most populous country on earth with plenty of places that give an insight into Chinese ancient past. Upon arrival at Beijing International Airport, you will be welcomed by our Asia Senses local guide, then escorted to your hotel in a private, air conditioned vehicle for check in. Any free time today in Beijing is at your leisure, so you can start your explorations of this charming city. You can visit to Tiananmen Square and the Forbidden City, two of must-see destination in Beijing or take part in a Foodie Walking Tour. This morning, pay a visit to one of the best-preserved areas featuring guard towers dating back to the Ming dynasty – the Mutianyu section of the Great Wall of China (Seven Wonders of the World). The Great Wall spans over 6,000 kilometers, from Ancient Manchuria to the Gobi Desert in the west, dotted with tall watchtowers along the way. The wall was originally constructed to protect Chinese empires from the “barbarians” of the north and even though it failed in this purpose, it is still without a doubt one of the country's most remarkable achievements. Upon arrival, take a cable car to ascend the Great Wall, then you are free to hike arround the most beautiful and interesting parts of Mutianyu. After the exciting time, descend Mutianyu Great Wall by cable car or toboggan ride to the base. NOTE: If energy permits, you can hike up or down which takes about 40 minutes per way. Please tell your choices to your travel consultant. Head back into the city in the afternoon, the rest of day is free at leisure. In the evening, you will be transferred to Beijing West Railway Station to catch the train (20:00PM) to Lhasa, the centre of the Tibetan Buddhist world for over a millennium. Beijing – Lhasa Train is the highest railway in the world, traversing some incredibly mountainous and remote terrain. It travels at high altitude, including the Tanggula Pass (5,072m) and Fenghuahan Tunnel (4,095m). And over 80% of the section between Golmud to Lhasa is at elevations of over 4000m. Along the way, you will pass through the major cities of Xi'an, Lanzhou and Xining, and across the Qinghai Plateau before arriving in Lhasa. 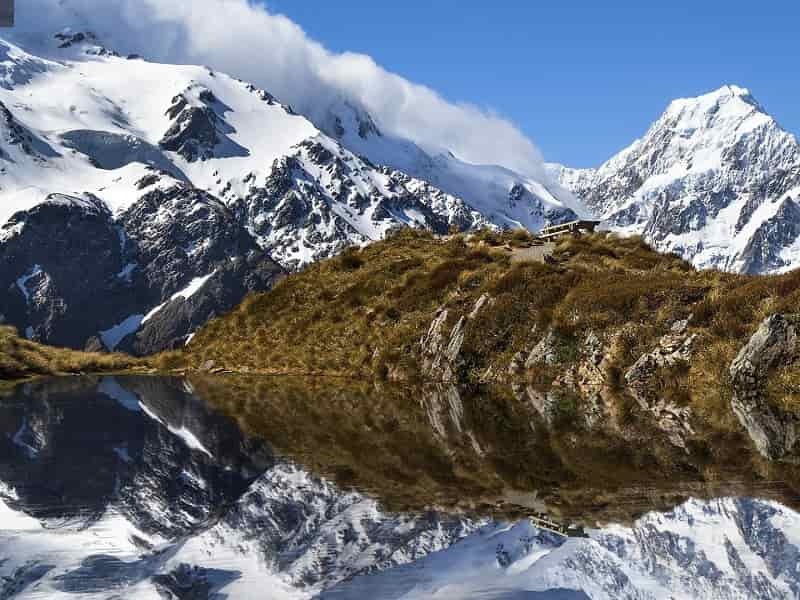 During the journey you can view the beautiful landscapes like snow-capped mountain and vast grassland with a speckling of grazing yaks, sheep and goats and the occasional punctuation of lakes and streams. This morning, your train will pass through wide brown grassland complemented by terracotta foothills, with beautiful views. The train will then arrive in LHASA at Lhasa Railway Station at 12:30PM. Upon arrival, Asia Senses local guide and driver will be awaiting to provide you with a transport to the hotel. Depending on the location of the chosen hotel, it is possible to walk into town or get a short drive into town. After lunch, pay a visit to the 8th century, Nepalese & Indian-inspired Jokhang Temple, for immediate immersion into the Tibetan world. The most venerated religious site in Tibet, the temple draws in a crowd of pilgrims each day, beautifully reflecting the diversity present in the demography of Tibet. Pilgrims travel the Barkhor (or “kora”), or the pilgrimage routes that circle sacred sites, all the while spinning prayer wheels and tirelessly prostrating themselves in front of the temple doors. Experience the mysterious world of Tibet immediately upon entering the temple, which is dimly lit by hundreds of candles and filled with the smell of yak butter and the sounds of monks’ chanting. While there are 3,000 icons of Buddha, deities, or historical figures throughout the temple, it’s the golden statue located at the heart of the temple that stands as the most impressive. Continue with a walk through Lhasa’s old town, providing the first opportunity to scout out some amazing souvenirs on display in the region. 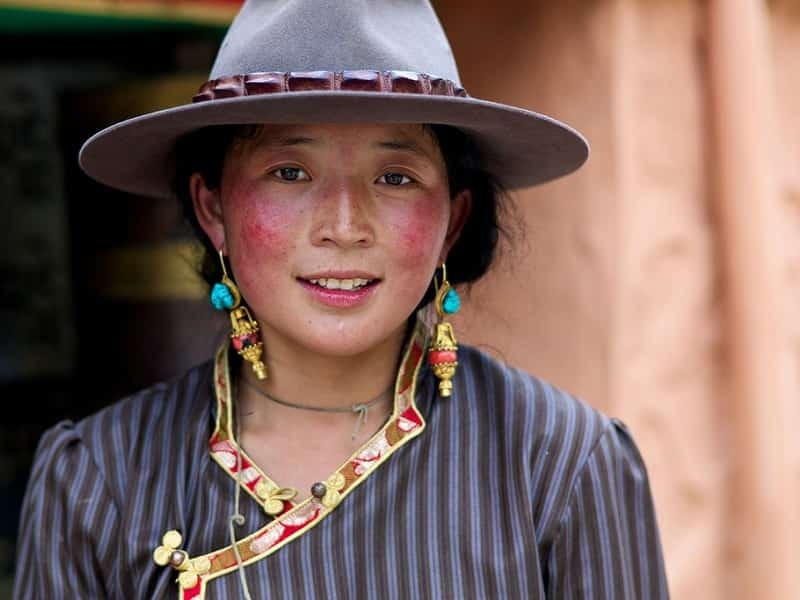 From Tibetan hats and incense to Thangkas (intricate Buddhist paintings), precious stones, and fine jewelry, there are some truly amazing and unique items. We will provide a visit to a handicrafts shop where gifts are both unique and locally sourced. Begin our tour in Lhasa today with a with an easy morning walk in the nearby area before joining a Momo (Tibetan dumpling) cooking class in a Tibetan family. Go outdoor market to purchase the vegetables and ingredients. Here you can try to communicate and bargain with vendors, which will be interesting. Then return back to the local home, prepare the ingredients and make Momo. During the steaming time, you will cook the other food under the guide of the staff. Learn to control fire and accomplish of your dishes. After all your dishes, it’s time to glut your stomach. Taste these delicacies made by yourself in such a rather friendly-environment. Sightseeing in the afternoon includes the Norbulinka Monastery - the Dalai Lama's summer palace which was completed in 1783 under the Eighth Dalai Lama. Set in beautiful grounds with fountains, chapels and pools, Norbulinka is located on the outskirts of Lhasa and it is from here that the present Dalai Lama fled in the 1950's. Nearby, Sera Monastery is still a working retreat, 600 years after its foundation as a main teaching monastery and one of the three great Gelukpa 'universities' once housing more than 5500 monks. 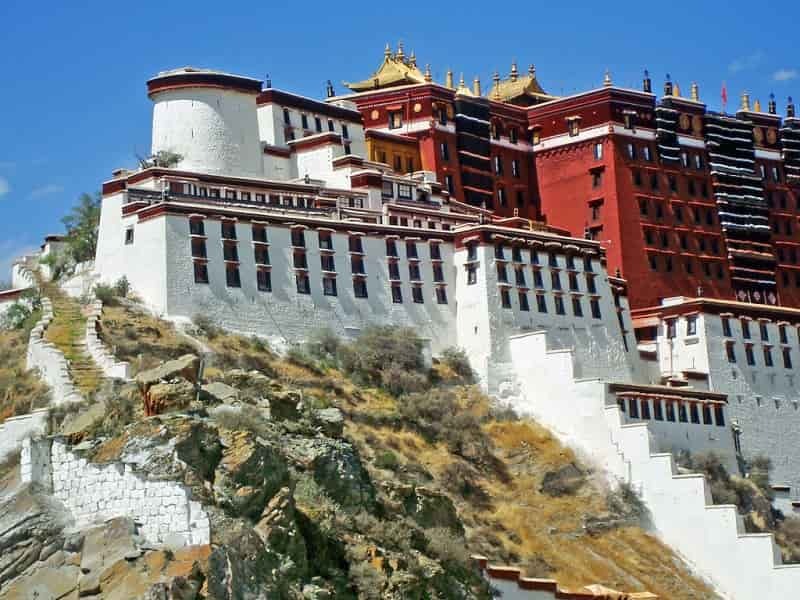 Begin your morning with a visit to the Potala Palace, the one-time residence of the Dalai Lama (religious head and political leader of Tibet). The entire building is made of stone and wood and covers an area of 130,000 square meters. The palace is divided into two parts – the secular White Palace, used for offices and the like and the religious Red Palace that boasts a number of shrines, chapels and tombs of Dalai Lamas. However, it is the Jokhang Temple which will be the most enlightening stop of the day. The holiest shrine in Tibet, it houses a solid gold shrine of the enlightened Buddha. For the rest of the day, you can deepen your perspective of Lhasa's holy sites. Take the short journey to the 15th century Drepung Monastery. Formerly one of the central monasteries of Tibet, it was torn under during the Cultural Revolution and continues to rebuild its walls and status today. As the original monastery and stronghold for the Yellow Hat Sect and established in 1416 by Tsongkhapa (two years before the Sera Monastery), the Ganden Monastery is literally stuck on top of a hill overlooking the whole of the Kyi-Chu valley. Innumerable religious texts can be found in its various chapels; take note of the “printers” at work, conscientiously copying around 500 pages a day (the equivalent of around five books.) Mingle with the crowd of pilgrims along the kora, offering wonderful views of the monastery and valley. Begin the morning with a journey to Tsetang. The majority of the journey will run alongside the dune-lined Yarlung Tsangpo River, (also known as the Brahmaputra River). Take note of the bridges spanning the river, illustrated by the iconic Tibetan prayer flags- a constant symbol of the faith of the Tibetan people. En route visit the Drolma Lhakhang Temple, and stop at the elevated view point of Kampa La Pass (altitude of 4800-5000 meters), to soak up the incredible views of the spectacular scorpion shaped Yamdrok Lake. It is one of Tibet's three sacred lakes and according to local mythology. Drive onwards to Samye Monastery which was founded in the 8th century during the reign of King Trisong Detsen with the help of the Indian Buddhist masters Padmasambhava and Shantarakshita, whom the king had invited to Tibet to help spread Buddhism. 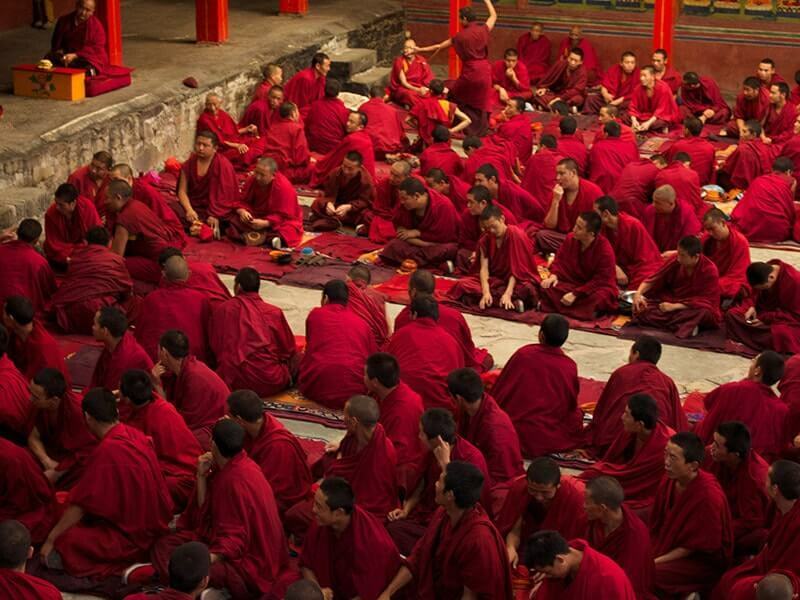 The first Tibetan monks were ordained here after examination, and are referred to as the Seven Examined Men. Over the centuries Samye has been associated with various schools of Tibetan Buddhism and today Tibetans of all traditions come to worship here. Arrive in TSETANG, a transport will be provided to the hotel, followed by a visit to the Traduk Temple (located around forty minutes along the road across the Yarlung). The temple’s architecture is particularly of note, designed in the form of a mandala or Tibetan ‘circular diagram.’ In Buddhism the mandala corresponds with an incredibly complex form of 2D or 3D artwork, the production of which is an elaborate form of meditation. Its central structure represents Mount Meru (the symbolic center of the universe for Hindus and many Buddhists), while the smaller peripheral temples represent the oceans and continents. The three floors of the temple mirror the three-way relations between Tibet, China, and India. NOTE: while it may seem logical to do this visit on the outward journey, it is necessary to first go to Tsetang to obtain a visit permit for the temple. At the end of the day, pay a visit to Yumbu Lakhang. A small “castle” perched on a nearby hill, this is the oldest building in Tibet, built by Nyatri Tsenpo, the founder of the kingdom and its first sovereign. It takes a good half-hour to complete the climb to the viewing platform, which offers spectacular vistas of the Yarlung valley and its checkerboard pattern of crops. Today, drive to Gyantse, previously an independent kingdom, this commercial crossroads on the trans-Himalayan route links central Tibet to Sikkim. Despite the long hours of the drive, the landscapes and passing scenery will be simply unforgettable. Follow the iconic Friendship Highway (linking Tibet to Nepal), which is where the Yamdrok Lake can be found. Soak in views of this blue mountain lake from the summit of the Kamba-la pass (altitude of 4800-5000 meters), with the dominating Nojin Kangtsang (7200 meters) looming in the background. 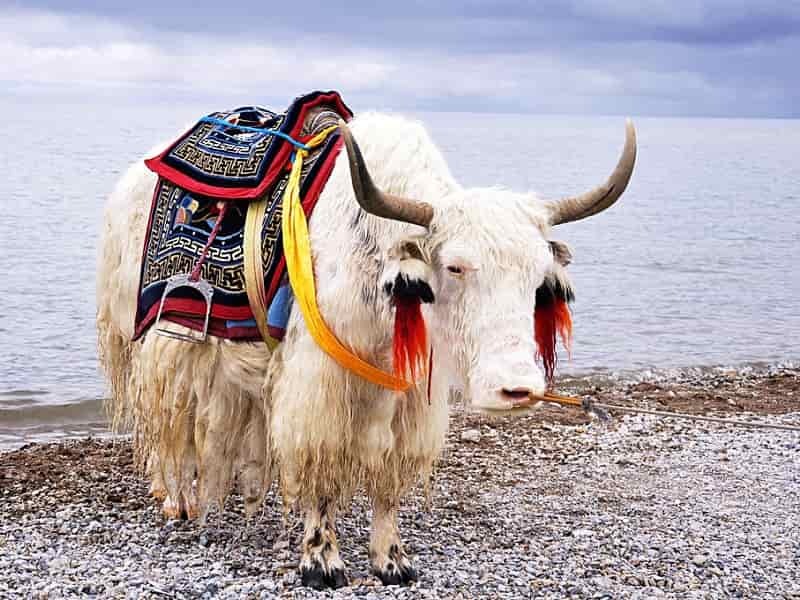 Enjoy a brief photo op with yaks or Tibetan Mastiffs, formerly used as watchdogs by Nomadic Peoples in the Himalayas and as guard dogs in monasteries. Continue the journey along the lake to NAGARZE, where lunch will be had in the small town. Pay a visit to its small Samding Temple, which offers more great views of the lake. Continue onwards to the Karola Glacier (altitude of 4960m), which at the start of the 20th century was the location of the highest battle in the history of the British Empire. The final stop will be at the Manla Reservoir which, aside from its stunning turquoise coloration, is of interest for its contents: the water than fills the reservoir comes from Yamdrok Lake – one of the most sacred lakes for the Tibetan people. After that, drive up to the Karo La pass, and then descend down to the town of GYANTSE. The small rural town of Gyantse is famed for its wool carpets. While there’s still a feel of tradition and life continuing much as it has for centuries, Gyantse is also a great place to see contemporary Tibetan life in the backstreets, where pilgrims, pop music, cows, 'cowboys' on motorbikes, kids and monks all mingle in a lively mix of cultures. Upon arrival, spend the remains of the day at leisure at your hotel. This morning, spend time in the unique Gyantse Kumbum (or “Palcho” Monastery). Kumbum was founded in the year 1427 by a Gyantse prince and surrounded by an impressive red rampart. With a gold dome, and 9 levels, it contains 77 chapels. Pelku Chode is the Monastery inside the same compound of Kumbum and is a unique structure built in 1414 that brought together 15 monasteries and three different orders of Tibetan Buddhism. 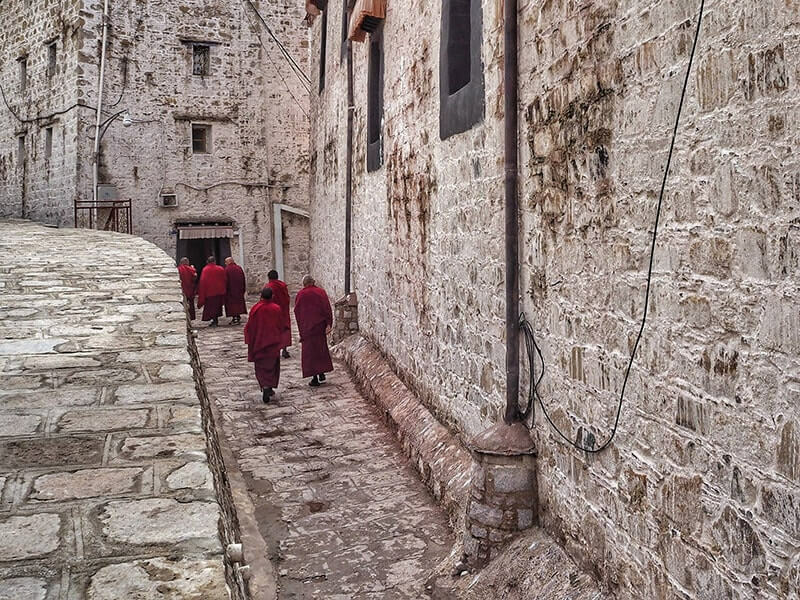 Wrap up the day with a walk in the Tibetan old town, which has miraculously avoided urban development and is probably the most authentic town in Tibet. Magisterially overlooked by the Dzong, it consists of a main road with perpendicular alleys bordered by traditional white Tibetan houses. 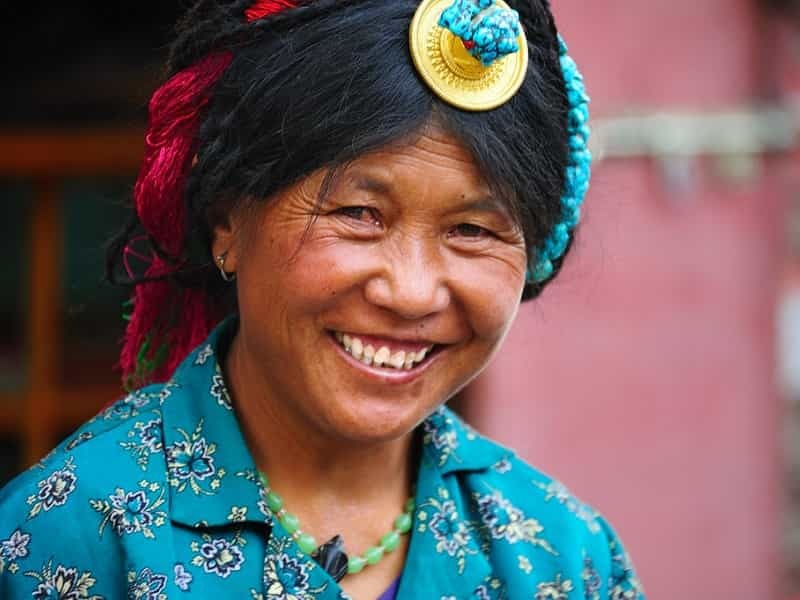 Later on, there’s the chance to enjoy a lunch at a local family home, offering a fantastic real life experience where you can help prepare the food while enjoying both Tibetan hospitality and interesting tales. Spend the remainder of the day free at leisure; a great opportunity to purchase a rug in one of the workshops which make Gyantse famous. Depart in the morning for Sakya, with a stop in Shigatse to acquire a permit for entry to Mount Everest (this procedure takes around 30 minutes). Arrive in SAKYA, pay a visit to the monastic city of Sakya, hub of the Sakyapa School and base of the Sakya Lamas who once ruled the entire kingdom of Tibet. Sakya's monastery and town buildings are quite unique. Originally, there were two monasteries in Sakya – the Northern and the Southern – but the former was completely destroyed during the Cultural Revolution. The Southern Monastery is visually a Mongol-influenced fortress; its high defensive walls coloured grey with vertical red and white stripes symbolise the Bodhisattva trinity. The monastery holds many treasures, from thangkas and mural paintings to Song Dynasty porcelain, ancient drums, and an incredibly valuable horn given by the Mongols. It is also known for its fabulous library, a part of whose contents were ordered by the infamous Mongol Emperor Kublai Khan. The imposing 10 meter high and 60 meter long wall contains Buddhist writings, works of literature, and books on history, art, philosophy and math. You can also hike a little further to visit the friendly nuns at the nunnery high on the hill overlooking the town. Then take a walk through the old town neighboring the monastery and meet with a cutler; Sakya knives are renowned for their quality. Tonight for dinner, consider tasting some spicy food at one of the little restaurants run by Sichuanese immigrants. NOTE: There is a dance festival at the Sakya Monastery, generally held in January. Demonstrations are sometimes organized in the town outside of these dates; inquire for further information. Depart in the morning for TINGRI. Around noon, a lunch will be provided where the first grand views of Everest (8848 meters) and neighbouring Cho Oyu (8153 meters) can be seen. After lunch, continue onto the Rongbuk Monastery, situated along one of the highest roads in the world (with an average of 5000 meters in altitude and some parts at higher than 5200 meters). NOTE: the poor condition of the road and the high altitude make this section a little testing. It is imperative to be in top health (consulting a doctor before leaving for the trip is highly recommended). Continue on to visit Rongbuk Monastery, the “highest temple in the world,” which offers unbelievable views of Mt. Everest and its north face- only visible from Tibet. While the structure itself is quite modest compared to some previous visits, its authenticity, charm, and amazing views fully compensate. The following day there may be a chance to attend the prayers of the monks inside the temple on the return journey. After 20 minutes on the road, arrive at the base camp of MOUNT EVEREST. Known as Qomolangma in Tibetan and Zhufeng in Chinese, Everest sits on the border of Tibet and Nepal. For a truly authentic overnight experience, settle into a traditional nomadic tent, which generally consist of up to a dozen single beds arranged like a dormitory and a stove fuelled with yak excrement. The tents do not have showers and the toilet facilities are two private (but simple) cubicles shared by the whole camp. There is a post office at base camp, which is naturally the highest in the world. NOTE: it is also possible to stay in a guesthouse closer to the Rongbuk Monastery or in Tingri. For those interested, please inquire further. Swap the private vehicle and driver for a public bus that (in just five minutes) traverses the north face of the mountain. Take the bus back to camp or enjoy a scenic walk back (taking less than half an hour) to take in the grandiose surroundings. Dinner (traditional cuisine) and overnight in the tent. Overnight in Everest Base Camp. Start the day with one of the world’s most unforgettable experiences: sunrise over Everest. Follow this up with a very local breakfast, comprised of tsampa (a mixture of yak butter, tea and flour)- a staple dish in the Tibetan world. Return to Shigatse (approximately 7-8 hours), which will feel like a bustling metropolis after the remote scenery from the last few days. Today will be a long day of travelling, but the constantly incredible scenery will make the journey worthwhile. There will be plenty of stops along the way for photo opportunities and to stretch the legs. Stop for lunch in LHATSE. Before arriving in Shigatse, stop for a visit to the Phuntsholing Monastery. One of the most notable features of the monastery is the Chenrezig statue located in its assembly hall; additionally, paintings on the monastery’s roof divulge the stories of the life of Sakyamuni. Behind the monastery is a ruined fortification providing stunning views of the valley. Arrival in SHIGATSE towards the end of the afternoon. The remainder of the day is at leisure. Shigatse is Tibet's second-largest city, Shigatse was once the capital of the Tsang kingdom, a rival to Lhasa’s dominance. The Tsang kings exercised their power from the Shigatse Dzong which, like the one in Gyantse, is built on the crest of a hill and overlooks the whole city. It is currently not possible to visit the Dzong. Translating to ‘all fortune and happiness gathered here’, Shigatse is a busy, mountain-clasped city that’s rapidly modernising. 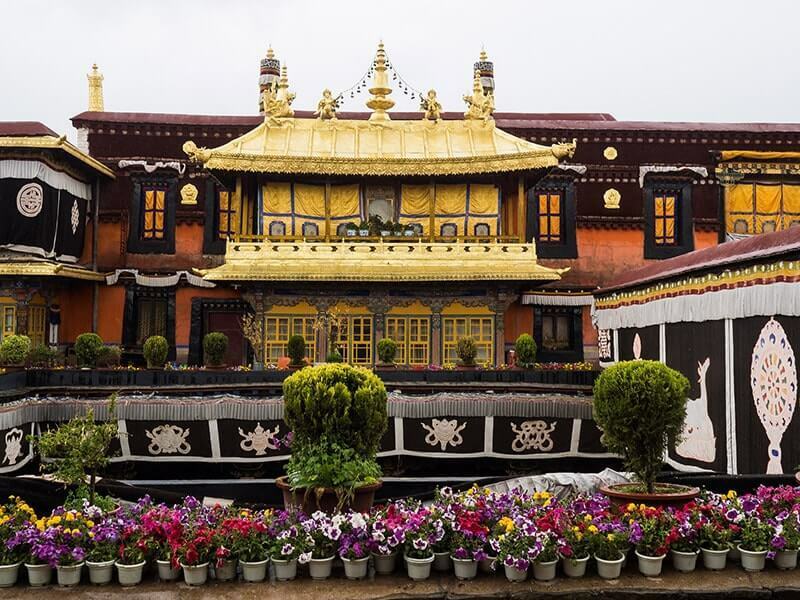 Begin the day with a visit to Tashilhunpo, a Gelugpa monastery (Yellow Hat Sect) founded in 1447 by the first Dalai Lama, who is buried there. The monastery became the seat of the Panchen Lama, the second most important person in Tibetan hierarchy after the Dalai Lama. 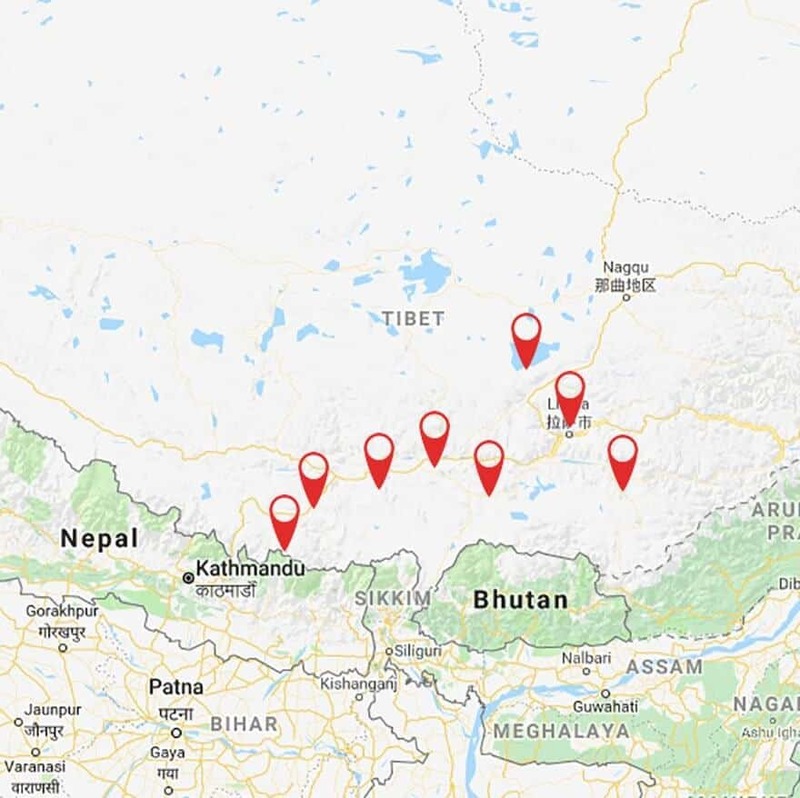 While the monastery remains very active with a community of around 800 monks, the divergence between China and Tibet over the identity of the real Panchen Lama has led the 14th Dalai Lama (today based in Dharamsala) to “re-establish” Tashilhunpo in India. The monastery is like a small village with its maze of paved alleyways. Spend some time exploring the region before visiting its principal structures and remarkable golden roofs. There is also an incredible Stupa of the 10th Panchen Lama, covered in several hundred kilos of gold and decorated with a multitude of precious stones. The Maitreya Chapel houses a 26 meter-high Buddha statue that took nearly ten years to make and required the work of several craftsmen. After exploring the monastery, stroll through the Tibetan market, where the best views of the Shigatse Dzong can be found. The market is also a great opportunity to find some traditional jewelry, prayer wheels, and other typical Tibetan objects. Start the day traveling out to NAMTSO LAKE (the “celestial lake”), an immense stretch of turquoise water bordered by seemingly never-ending chains of snow-capped mountains. The region is a sacred place for pilgrims, who in past times would wait for winter to come before crossing the frozen lake with their supplies. Some of the bravest believers still complete a 15-day kora around Namtso, the highest lake in the world with a surface area greater than 500km2. Pay a visit to the small Tashi Dor Monastery and walk along the lakeside. NOTE: This part of the journey will again hit some altitudes of over 5200 meters. As such, it is important to save this visit for the end of the itinerary, providing ample time to acclimate to the altitude. Overnight in a guesthouse close to the lake (basic facilities). Begin the morning with an ascent to the observation point of the ‘twin hills.’ Weather permitting, there will be a breathtaking sunrise over the lake. Enjoy breakfast and travel back on a jaw-dropping road back to Lhasa, allowing you to experience the incredible scenery along the way. There’ll be stops along the way for snacks and a few final photos of the mountains. When you return to Lhasa, the rest of the day is free. Perhaps follow the pilgrim path around the Potala Palace or take photos of the busy scene from the main square. Spend your last Tibetan night here in Lhasa. Settle in to the hotel and afternoon is free at leisure. Your Grand Tibet Tour Adventure comes to an end today. You are free at leisure until your diver come to pick up and transfer you to the airport to catch the domestic fight to Chengdu, the biggest city of Sichuan province. If you need any assistance in regard to other China Tours, please feel free to contact us to get further suggestion for a China Tour Package.